Dear Families…. Can we talk about inclusive language? I’m hoping that the way I’ve addressed this post hasn’t caused shock and awe. According to some of the inaccurate statements being circulated about Sexual Orientation and Gender Identity (SOGI), you should be offended that I didn’t address you as “mom” or “dad,” or “ladies” and “gentlemen,” and you should assume it’s because the words “mom,” and “dad,” “ladies,” and “gentlemen,” “boys” and “girls,” are all banned. You should assume that my intent is to devalue you, and eliminate your influence over your children. Please do not be lured to such ridiculous conclusions. In the context of SOGI conversations, using an address like “Dear Families” instead of “Dear Moms and Dads” or “Dear Parents” has become a contentious issue. I’ve been teaching for 22 years and I started using “Dear Families” long before SOGI policy was enacted or SOGI was part of the provincial curriculum. I prefer it to “Dear Parents / Guardians.” I didn’t make this adjustment because policy demanded it or because someone told me I couldn’t use the words “mom,” “dad,” or “parent.” I did this because it reflected the unique situations that students go home to on a daily basis. To suggest that all kids have a mother and a father is willfully ignorant of the daily lives of a lot of children. Granted, at conception, the contribution of genetic material from a biological mother and from a biological father may be necessary, it is not true that all those “donors” play an active role in their children’s lives afterwards. Some Anti-SOGI extremists are claiming that by opting for inclusive language (like “families” instead of “parents”) that educators are somehow trying to undermine the status of parents, interfere with their parental rights, and ban the words “mom” and “dad.” There is no such ban and there is no such objective. We recognize how important parents are as partners. I can tell you right now that I don’t have the time to go through every book in the library and replace the words “mom,” “dad.” I’m not even sure there’s enough white-out for the task – and besides, my mom and dad taught me to respect and appreciate books. See what I did there? I used “mom,” and “dad” – in the same sentence no less. I haven’t been struck by lightning, I haven’t had my credentials stripped, I haven’t been disciplined by my union. I have no interest in eliminating or devaluing words like “mom” or “dad” from our vocabulary. Moms and dads are amazing beings. I am fortunate to have both my mother and father in my life. I also happen to have their acceptance, love and support. They’ve played valuable roles in the person I’ve become, and their identities as my parents are non-negotiable. I have no intention of revoking “Mom” or “Dad” from either of their lists of achievements. Recently, each of my siblings became parents for the first time. Watching my sister nurture and interact with my niece is magical. Having a child in her life has so obviously enhanced her sense of purpose and her sense of being – as well as her ability to function under sleep deprivation conditions. Hearing her daughter first articulate the words “mum,” “mama,” or “mom” has been an affirming emotional experience. None of educators’ efforts to create inclusive, welcoming spaces for students is an attempt to erase or undermine the role of any mother. I’d be the first to resist if anyone attempted to steal this title from my sister, from my mom, or from any other person who, under whatever circumstances, assumed the role of mother. Similarly with my brother, his connection to his son, and the pride he takes in watching the development of this little person in his life is undeniable. His new role has enhanced his life and has transformed his identity in a powerful way. The pride both my siblings display in becoming parents and assuming each of their roles as “Mom” or “Dad” is something that will always deserve recognition. The terms “Mom” and “Dad” are not in danger of extinction. For the record, becoming an uncle has been a privilege and is a new and important aspect of my identity. Hearing these little human beings refer to me as Uncle, might just melt my heart a little – even if I’m reluctant to admit it at times. Uncle is a title I’m more than happy to own. There is something irresistible about having “Uncle” attached to your name, regardless of how they butcher the pronunciation of the title or of my name. Uncle is another word that is not in danger of being extinguished. Interestingly enough, if a notice came home from either my niece or nephew’s schools, inviting “families” to come to a performance or open house, I’d feel like I could attend. If the notice was addressed to “Moms” and “Dads,” I would feel like I wasn’t welcome, and that their grandparents were excluded from engaging with their grandchildren at a school event. What kid’s life isn’t enriched by the presence of a whole bunch of people who love and support them, and show up for them? When I address the collective of a class, I try to be inclusive of all the incarnations of family that may exist (i.e. “Share your brainstorm with your family,” “Are there any adults at home that might be able to volunteer for our fieldtrip?”). When I speak to an individual child, I use the terms that are appropriate for their specific context (i.e. “Did you show your notice to your mom?” “Are your grandparents coming to pick you up?” “Do your dads know about the early dismissal on Friday?”). When I address the collective, I try to use inclusive language. I try to avoid making assumptions about the people I’m talking about, and I try to avoid leaving someone out. When I address the individual, I use the language and terms that are specific to their situation. Imagine going to a meal at a restaurant with a large group of friends. You all order different items from the menu. One person orders steak. One orders pasta. Another orders pizza. Someone opts for chicken. Someone else asks for lamb. One person orders a salad. Someone else gets a burger. Someone orders a stir fry. One person orders salmon. Someone else has fish and chips. Someone else has lobster. One person orders only from the appetizer menu. One is a vegetarian. Their partner is a vegan. One has allergies to peanuts. One is gluten free. One wants their salad dressing on the side. And two want to make substitutions. This is obviously a diverse dining group with a complicated order. You pause at the vegetarian and the vegan. You ask yourself, “How do I include everyone? This is ‘nuts.’” You catch the eye of your friend who you hope is carrying their Epipen, because you know they’re anaphylactic. You scroll through vocabulary in your brain seeking the right words. You consider “how was your entrée?” That seems pretty inclusive, until you realize that your partner only ordered from the appetizer menu. They are attentive to detail. Will they feel like they can contribute a response if their appetizer was served with everyone else’s entrée, but, technically, is still categorized as an appetizer and not an entrée? You do not want to risk the them feeling undervalued or excluded. That’s how inclusive language works. It might take a little training and awareness. It might take a little practice. It’s not about being politically correct. It’s about being kind. It’s about being respectful. It’s about creating situations where people are not “othered” in some way. It’s about creating situations where everyone is welcome. Call it SOGI. Call it fostering appreciation for differences. Call it encouraging acceptance. All teachers are attempting to do is to make safe, comfortable spaces where kids can be kids. Where they feel included, and appreciated by the communities in which they exist. They are encouraged to be visible and authentic, and to develop pride in who they are. That’s how kids develop into exceptional beings – when they have the environments that allow them to learn without fear or shame. 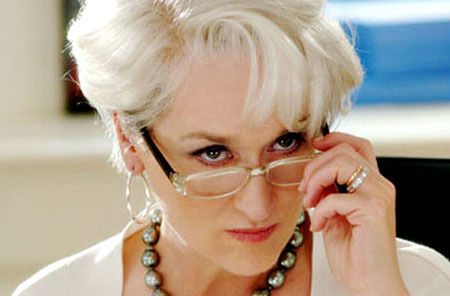 “That’s all.” – Miranda Priestly, The Devil Wears Prada.